The History Of The Invention Of The Calculators? Calculations are an easy task for some people, but for the majority of people it is not that easy. The problem of counting has appeared when numbers appeared. The Abacus is considered a primitive calculator, the first abacus was the Sumerian abacus more than 4500 years ago. Then it was followed by the Egyptian abacus , later in the 6th century B.C. appeared the Persian abacus, after 3 centuries the Greek abacus appeared. About the 2nd century B.C. 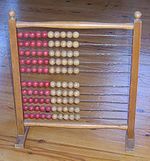 the Chinese abacus was a breakthrough as it used the decimal and hexadecimal digits, by the 1st century B.C. the Roman abacus was available. The Indian abacus appeared later in the 1st century, then the Japanese abacus, followed the Russian abacus, the Native American abacus is called Abaqi which is still used in preschools and primary schools to teach children the bases of arithmetic. Tim Cranmer, invented in the year 1692 a new abacus that can help blind people in counting. 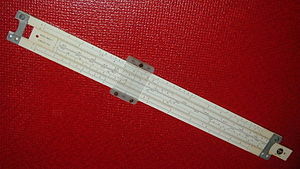 The Slide rule (slidestick) is a sort of mechanical computer, was produced by William Oughtred (1575-1660) the English mathematician in the year 1622. It was used during the 18th, 19th centuries till the electronic calculator appeared in the year 1974. The Mechanical calculator was next as it appeared in the year 1642, By the genius Blaise Pascal (1623-1662) the French physicist, mathematician and inventor. The device is called the Pascal’s calculator. In the year 1685, Gottfried Leibniz (1646-1716) the German mathematician invented the Leibniz wheel. The French inventor Thomas de Colmar (1785-1870) developed the mechanical calculator and produced the Arithmometer in the year 1851. The American inventor William Seward Burroughs I (1857-1898) was the first to invent the calculating machine in the year 1886. In the year 1887, the Comptometer was produced by the American inventor Dorr Felt (1862-1930), it is the first successful commercially mechanical calculator. In the year 1938, Curta calculator was patented by the Austrian engineer Curt Herzstark (1902-1988) whom has invented it in the year 1930. The Electronic calculator started in the 40’s of the 20th century after the invention of the vacuum tubes and developed in the 50’s after the inventing of the transistors. IBM was the first to introduce the transistor calculator in the year 1957. The major Olivetti Programma 101 was produced in the year 1965, that involved a stored program that can read and write a card, it also included a memory and a printer. 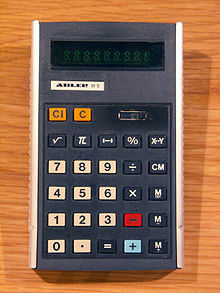 In the year 1967, came the first programmable calculator it was called Monroe Epic. the Handheld calculator was invented in the year 1967, by the American physicist Jack Kilby (1923-2005), with his team that consisted with Jerry D. Merryman, James H. Van Tassel. In the year 1987, the first calculator that can present graph was produced by Casio.The electronic calculator used to get its power from batteries, the solar calculators started to take place starting from 1978.